The genus Lupinus L. and, in particular, its North-American species, were divided by Sereno Watson (1873) into three parts: Lupinus, Platycarpos and Lupinnelus. Differences in habit and in the number of ovules were accepted as the basis for this classification. 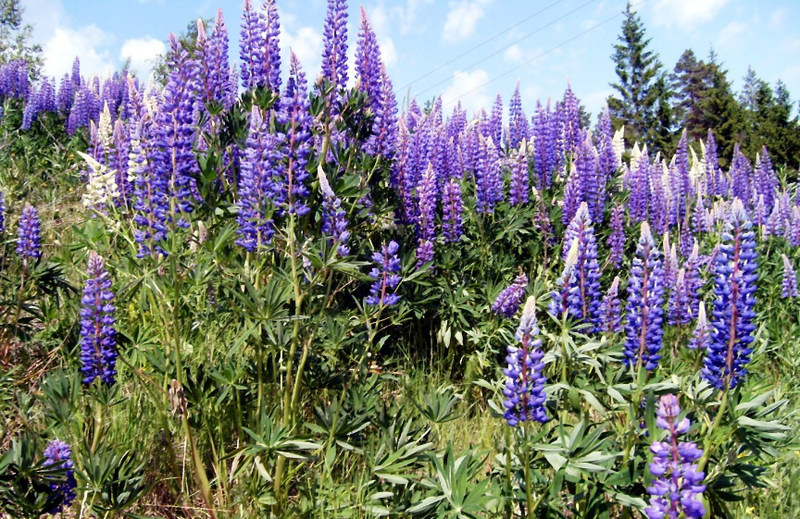 A majority of perennial and annual species from the American continent described by Watson were referred to Lupinus. To the Platycarpos section were attributed some annual species with two ovules in the ovary and two seeds in the pod (L. densiflorus Benth., L. micricarpus Sims. and others). Section Lupinnelus consisted of one species (L. uncialis), with axillary and solitary flowers, scarcely reflexed banner, and also with two ovules in the ovary. Presently, the existence of such species seems doubtful. This principle of classification was extended by Ascherson and Graebner (1907) to cover all lupins from the eastern and western hemispheres. Lupinus L. was for the first time subdivided into two subgenera: A. Eulupinus and B. Platycarpos (Ascherson and Graebner, 1907). Quantity of ovules (seedbuds) in the ovary and seeds in the pod was also accepted as the criterion for this division. Most of the described species from the eastern and western hemispheres were referred to subgen. A. Eulupinus. Subgen. B. Platycarpos included several annual species from the eastern hemisphere with two seedbuds and seeds in the bean (the same species, as the one specified by Watson). These works were a starting point for our researches. Considering the definition of two secondary centres of formation for different lupin species in the eastern and western hemispheres, and also the essential morphological differences between lupins of the two hemispheres (previous section ), we managed to revise the volumes of two subgenera in the genus Lupinus L. according to the geographic principle, however in view of the findings of the previous writers. Subgen. Platycarpos (S.Wats.) Kurl. in our new combination integrates the numerous perennial and annual species from the Western hemisphere, both groups having two, four and more seedbuds in the ovary, while subgen. Lupinus L. includes 12 species from the Mediterranean region and Africa with at least four or more seedbuds in the ovary.